Enjoy traditional solitaire card game with Pair Solitaire Pro with new type of card matching concept and new design ! 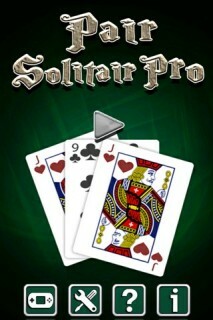 Pair Solitaire Pro is new type of solitaire game , you have to only match the pairs ! Pair Solitaire Pro is a game for joy of card pair matching . This game will give you the joys of traditional solitaire, while playing with your strategy skills at the same time. Must play new type of solitaire game on your mobile device that keep you engage for a day ! 1. Pair the cards in this game. 3. Every cards have own scores. 4. Fun and Enjoy with Friends. Heroes Of Dragon Age ..